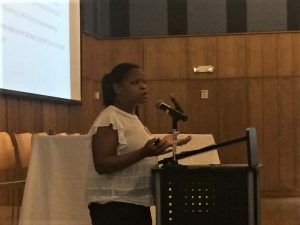 Since 2016, the Washington Region Early Care and Education Workforce Network (The Network) has focused on organizing, developing and rolling out an implementation plan to create an early care and education career pathway for the DC region based on educator competencies and tied to compensation and quality. This multi-jurisdictional project was one of the National Academy of Medicine technical assistance state networks that launched after the release of its 2015 report, Transforming the Workforce for Children Birth Through Age 8. The Network remains the only one in the country that is working across state lines. 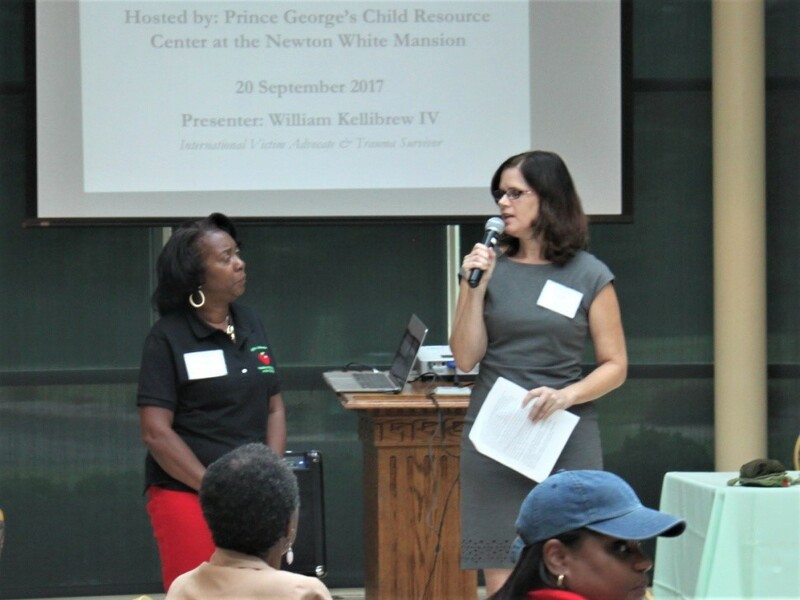 The Network is housed at Washington Area Women’s Foundation with funding from the Early Care and Education Funders Collaborative. The Women’s Foundation established the Early Care and Education Funders Collaborative in 2008, as a multi-year, multi-million dollar collective funding effort. The Collaborative is supported and directed by corporate funders and local and national foundations. To catalyze implementation of the Transforming the Workforce for Children Birth Through Age 8 recommendations, the National Academy led a national “Implementation Network” of states across the country working to implement recommendations from the report. The Network represents different sectors in early care and education (ECE) in Prince George’s and Montgomery counties in Maryland; City of Alexandria and Arlington and Fairfax counties in Virginia; and Washington, D.C. For example, the D.C. state superintendent of education’s office is represented, as are child care resource centers, infant/toddler care centers, and community and family centers in Maryland and Virginia. Such on-the-ground authorities plus higher education professionals in each jurisdiction lend their expertise through The Network’s 25-member Steering Committee [link to Steering Committee list]. Of the Steering Committee members, seven comprise a Core Team [link to Core Team section], which serves as leadership for the project, overseeing the budget and ensuring streamlined decision-making. The Network’s career pathway project is grounded in four of the recommendations in the National Academy of Medicine’s Transforming the Workforce report, as well as the considerations put forth in the report regarding workforce compensation and well-being. In addition, The Network’s project reflects the considerations put forth in the National Academy’s report regarding workforce compensation and well-being. 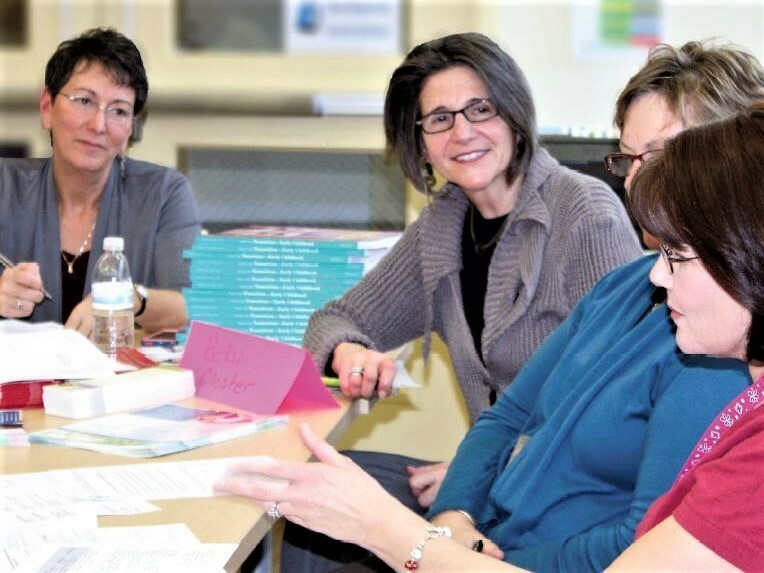 In 2015, Washington Area Women’s Foundation recruited a wealth of talented, experienced practitioners and thinkers to guide the development of a regional approach to improving early childhood care and education by linking quality and compensation for teachers and care providers. 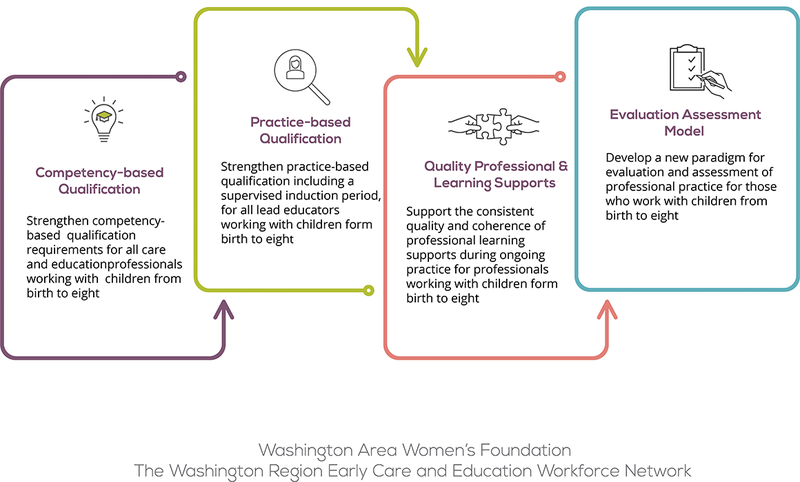 Over a period of months, The Women’s Foundation launched work on the Washington Region Early Care and Education Workforce Network Implementation Plan For Competency-Based Career Pathways, collaboratively tackling one of the region’s most critical issues. With funding from the Early Care and Education Funders Collaborative, the Foundation provides professional project management services and facilitates the subject matter expertise from the project’s 21-member Steering Committee and a subset Core Team of advisers. The project purpose is “mapping competency-based career pathways that are linked to quality and compensation and can be used across the region.” For guideposts, the project has created (1) a career pathways document above and (2) a blueprint for implementation mechanism below. In addition to furthering the economic, developmental and societal benefits of a robust early care and education delivery system, the project aims to play a central — even transformative — role in creating high quality early childhood experiences that foster positive learning and development. 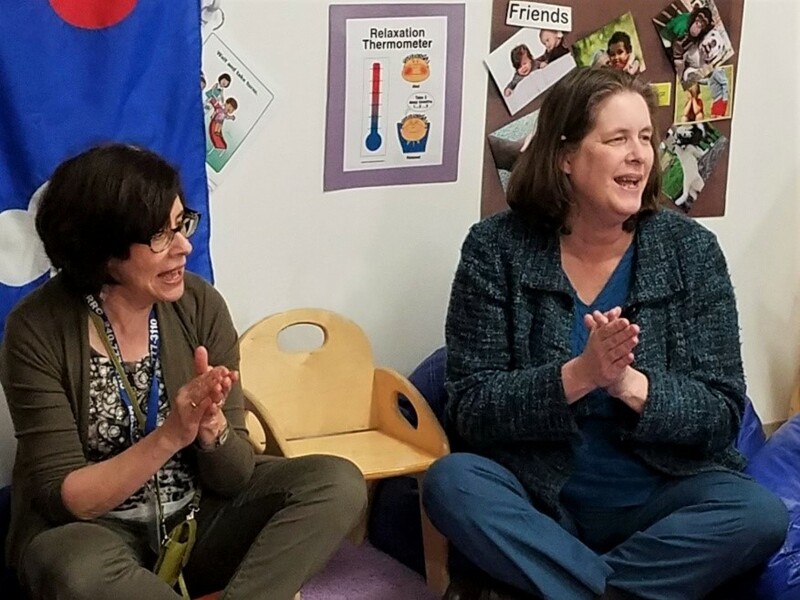 Barbara Andrews (right) joins an early childhood teacher in a child and parent activity at the ECS classroom. Barbara has worked in the education field in early childhood, elementary and before-and-after-school programs for over 30 years. At ECS, she oversees the Montgomery County Infants and Toddlers Program, the Child Care Resource and Referral Center, Early Childhood Mental Health, Child Care in Public Space, the Family Involvement Center, two Commissions, and multiple contracts with community partners. She has experience in the government, non-profit and school sectors. After working as a teacher in early childhood she attained an MA in Education and Human Development from George Washington University and a Doctorate in Education from George Mason University. She has worked as an administrator, a grants and professional development specialist, a college professor, and a trainer with students and professionals in education. 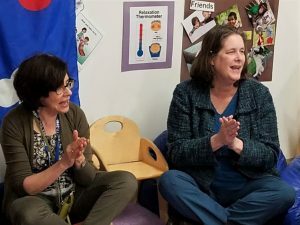 While she has worked with all age groups from infancy through adulthood, Barbara’s specialization and passion has always been in early childhood education. BB Otero heads an innovative consulting practice integrating education, health, human services and community development supports, with a focus on socially responsible policy and practice. She advises several philanthropic institutions and local governments in strategic planning, policy development and funding strategies. Ms. Otero served for four years as Deputy Mayor for Health and Human Services for the Government of the District of Columbia. For 25 years BB led CentroNia, a nationally recognized child and family services organization serving over 1,200 children and their families. BB has a wide range of international experience and has served on numerous local and national boards, including boards of education, hospitals and think tanks. In 2000, she was named Washingtonian of the Year. Kia Steen presents at WAWF’s ECE Summit 2016 in Washington, DC. Kia earned her doctoral degree from the University of San Francisco in International and Multicultural Education. She has worked in early childhood and elementary settings and has taught on the collegiate level at New York University in the Early Childhood program and George Mason in the Initiatives in Educational Transformation program. 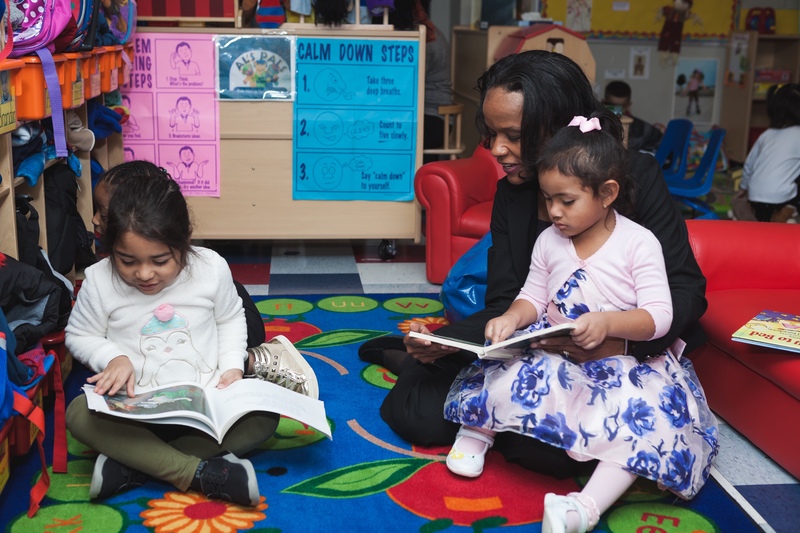 Her research deals with promoting academic excellence among children of color during the early years of schooling by implementing developmentally appropriate practices that will promote positive early learning experiences. Betsi Closter (center) strategizes with colleagues. Betsi has over 40 years of experience in early childhood education including classroom teaching, professional development, technical assistance, program monitoring, and community outreach. She has served as the County Early Head Start Coordinator and the Head Start Administrator, and as Child Care Specialist for Infant/Toddler Family Day Care, Inc. in Northern Virginia. At ZERO TO THREE, Betsi led a national demonstration project on partnering Early Head Start and family child care. She is a member of the Northern Virginia Community College Early Childhood Development Advisory Committee. Elizabeth administers and coordinates programs related to the District’s efforts to expand and improve high-quality child care and development services in the public and private sectors and ensures strong consumer education and outreach. She has a 20-year track record in leading and developing multi-sector collaborations at the national, state, and local levels to shape and transform early childhood systems. She has served as the early childhood advisor to a Colorado governor; led an international organization’s school readiness partnership; directed a county-wide early childhood collaborative; administered a Head Start agency; and evaluated the quality of early care and education in a large urban setting. Jennifer Iverson at a PGCRC training event in 2017. Jennifer Iverson, Executive Director, Prince George’s Child Resource Center (PGCRC), Inc.
For 16 years at Prince George’s Child Resource Center, Jennifer has helped create healthy and nurturing environments for children. Her tenure began in 2001 as the After-School Program Specialist, where she coordinated and conducted training across three counties. In 2002, Jennifer co-wrote an Early Reading First proposal that resulted in a $1.6 million award by the United States Department of Education and project implementation three child care centers. Jennifer launched the Resource Center’s development department in 2006. She became Deputy Director in 2011 and Executive Director in 2016. 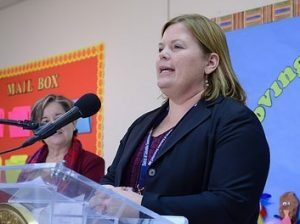 Early in her career, Jennifer taught Pre-K, became a Master Teacher, and was a California Department of Education-certified child development teacher trainer. Jennifer holds an Executive Certificate in Nonprofit Management from Georgetown University’s Center for Public and Nonprofit Leadership. Tammy has worked at the national, state and local levels for the past 25 years, focused on the needs of children and families, especially those living in economic and socially challenged environments. A practitioner at heart, she has a longstanding goal of effectively translating research to practice. 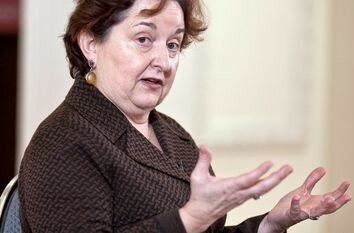 Prior to The Campagna Center, she served as Executive Director of the Frederick Patterson Research Institute and as Deputy Executive Director at ZERO TO THREE. Tammy is a Board member of the Foundation for Child Development and the Buffet Early Childhood Institute and has held many other elected and appointed positions, including President of the NAEYC Governing Board. Tammy also has taught at Howard University and George Mason University. She earned her Masters and Doctorate in Clinical Psychology, with an Interdisciplinary Specialization in Infant Studies, from Michigan State University. Career pathways document, a guide based on existing ECE professional credential/knowledge/competency frameworks in our region that establishes a practical and common set of quality standards for competencies at different levels, including suggested compensation levels, that are linked to identified competencies. Blueprint for an implementation mechanism, a certification/credential process that assesses and verifies competencies among the region’s ECE professionals according to the competency levels defined in the career pathways document and that establishes suggested compensation levels that correspond to the certification/credential. While the original implementation plan called for the work to be complete within one year, The Network members have found that the complexity of the work has required more time. However, the project is still following the three major steps. Please visit the ECE Resources below for additional information on early care and education in the Washington Region and beyond.